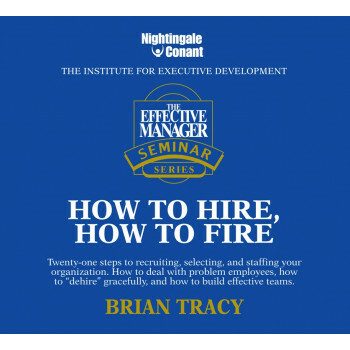 Develop top-notch human resources skills today! It has been said that a chain is as strong as it's weakest link. So is your organization! Learn all of the skills vital to selecting and hiring the best candidates for your company. Develop top-notch human resources skills today! Brian discusses the traits of high performing, credible, and respected managers. It has been said that a chain is as strong as it's weakest link. So is your organization! Learn all of the skills vital to selecting and hiring the best candidates for your company. What are the key characteristics of top-rated managers - and how can you attain them? How can you put your career on the fast track to the top 20% salary bracket?